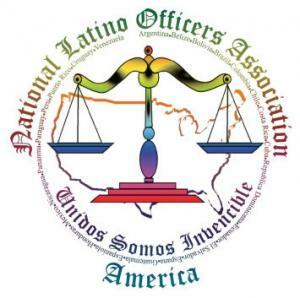 The National Latino Officers Association (NLAO) endorsed Proposition 19 Wednesday, citing a new report that found Latinos are disproportionately arrested for simple marijuana possession in California. Latinos are arrested at two to three times the rate of whites, the report found, even though they use marijuana at a lower rate than whites. Prop 19 would legalize the possession of up to an ounce of marijuana by adults 21 or older and allow them to grow up to 25 square feet of pot and possess the resulting harvest. It would also allow cities and counties to permit, regulate, and tax the commercial cultivation and sale of marijuana. While Latinos are more likely than whites to be arrested for pot possession in California, they are also arrested at rates disproportionate to their numbers in the state. In Irvine, for example, Latinos make up 9% of the population, but account for 20% of all pot possession arrests. Similarly, in San Jose, Latinos account for 30% of the population, but 55% of all pot possession arrests, the report found. California is home to some 14 million Latinos, who account for 37% of the state’s population. But because many Latinos are foreign nationals, they account for only 21% of the state’s electorate. Still, Latinos are the largest ethnic minority in the state, and nearly two-thirds of them are registered Democrats. Support for Prop 19 among Latino voters has varied widely in polls, and Wednesday’s press conference and endorsement were designed to bring this key demographic over to the “yes” side. “This report documents very significant and widespread disparities in arrest rates for low-level marijuana possession,” said Stephen Gutwillig, California director for the Drug Policy Alliance, which sponsored the report. “Latinos have been arrested at double and triple the rate of whites in the past few years. There has been an extraordinary escalation in arrests for small amounts of marijuana in the past 20 years,” Gutwillig added, noting that pot arrests have tripled to more than 60,000 annually since 1990. Police have other, more pressing priorities than nickel and dime pot busts, said Rodriguez. “We as the NLOA are backing California on this so we can concentrate on crimes that are violent,” he said. “We’ve got worries about terrorists and explosions and two wars going on. We can concentrate more on terrorism instead of going into communities and locking up Latinos and African-Americans. We can use that money from marijuana revenues for schools and education,” he said. It’s less than a week from election day, the vote for Prop 19 is going to be very close, and every endorsement counts. Now, the campaign has one more law enforcement group on its side. Are California’s Cops Donating Money to Keep Targeting Minorities? A new study released today shows conclusively that in California’s largest cities African-Americans are arrested for marijuana possession at much higher rates that whites. In the 25 cities profiled, African-Americans were arrested at four to 12 times the rate of whites, despite much higher use rates among whites. This horrifying disparity is one reason Proposition 19 has earned the support of civil rights groups, including the California NAACP and the League of United Latin American Citizens of California. These numbers make it clear that removing penalties for marijuana possession would eliminate a tool that has been used to institute a system of pervasive racism in the Golden State. Given that even a single possession charge can result in severe economic and social consequences, the fact that arrests are focused so disproportionately on minority communities is an overwhelming argument for reform on November 2nd. Some folks disagree, namely the majority of California’s law enforcement community. Several law enforcement groups have given large sums of money to the campaign against Proposition 19, the most recent being the California Police Chiefs Association, who donated $20,000 to No on Prop. 19. Throughout the public debates on this issue, law enforcement groups (other than those backing Prop 19) have said that reformers need to prove why marijuana should not be illegal. It seems much more reasonable to expect the burden of proof to be on the other side, especially when marijuana prohibition results in such obvious racial persecution. Yet law enforcement does not rise to this challenge, probably because there is no justification for such practices in a civilized society. Could it be that some California cops actually like targeting minorities? If Proposition 19 passes, they will lose their easiest way to do so. …the National Black Police Association. Did you hear that? Marijuana is about as addictive as COFFEE. Scary! (CNN) — Former U.S. 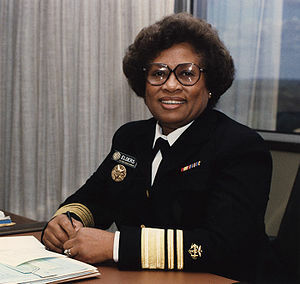 Surgeon General Joycelyn Elders told CNN Sunday she supports legalizing marijuana. Supporters of California’s Prop. 19 say it would raise revenue and cut the cost of enforcement, while opponents point to drug’s harmful side-effects. His letter was a response to an August letter from several former directors of the U.S. Drug Enforcement Administration urging the White House to block Prop. 19 if it’s approved next month. Sacramento, Sept 30th: A bill to downgrade the possession of one ounce or less of marijuana from a misdemeanor to an infraction was signed into law by Gov. Arnold Schwarzenegger. The bill, SB 1449 by Sen. Mark Leno, will spare petty pot offenders the necessity for a court appearance and criminal arrest record while saving the state millions of dollars in court and prosecution expenses. The bill treats petty possession like a traffic ticket punishable by a simple $100 fine and no arrest record. The new law, which takes effect on Jan 1, 2011, will have an effect even if Californians vote to legalize marijuana by passing Prop 19. Prop 19 leaves misdemeanor possession penalties in place for public use and smoking in the presence of kids; under SB 1449, these offenses would be simple infractions. In his signing statement, the Governor said he opposes decriminalization of recreational use of marijuana and opposes Prop 19, but “in this time of drastic budget cuts, prosecutors defense attorneys, law enforcement and the courts cannot afford to expend limited resources” prosecuting petty pot offenses. 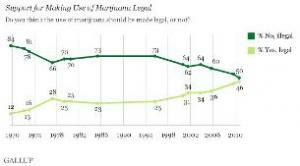 Misdemeanor possession arrests in California have mounted to new highs in recent years, reaching 61,164 in 2009. California NORML originally called for making petty possession an infraction when the state passed its landmark decriminalization law in 1975, but the legislature made it a minor misdemeanor punishable by a maximum $100 fine. This marks the first time in 35 years that penalties for non-medical use of marijuana have been reduced in California.